Even with a breaking story, there is always a little time to think about questions to ask interviewees, or what to say on air. 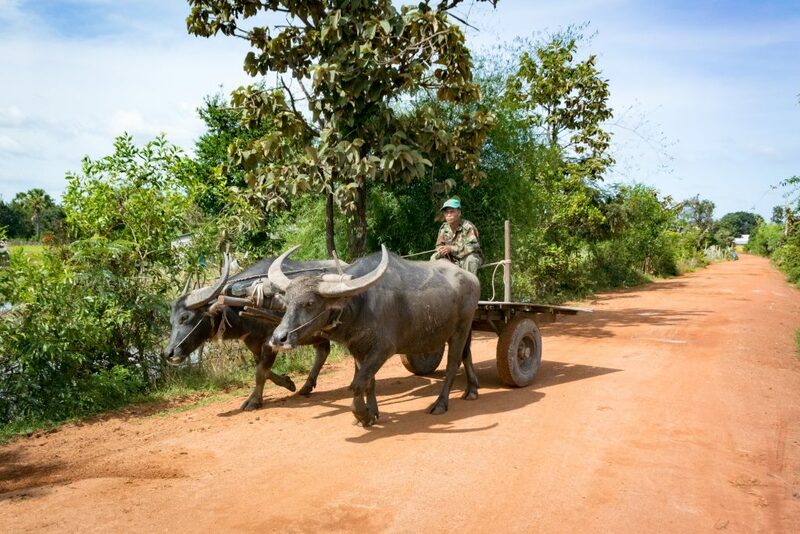 For more regular planned content, I’d always set off on a story with details of where I was going, who I was going to speak to and contact numbers in case of emergency. Having the basics written down, or easily accessible from your mobile device can save a lot of running around. I’d also spend some time thinking about the story I was going to film or record (often in the car on the way there). Plotting out a simple structure helped me to focus on gathering the interviews and information I needed and made sure I didn’t forget to ask an important question. Thinking about the structure of your business content, such as a blog post or newsletter can help you to focus on what you need and stop you getting distracted. Check out how to write a blog post in one hour for more time-saving tips. Record a video on your latest blog topic. Create an infographic of a handy how to guide. Offer a downloadable template to go with your time-saving tips. Ask your customers and fans to vote on new designs for your logo. There are loads of different ways you can put a new spin on a content idea. I learned very quickly that there’s no such thing as another 30 seconds in a newsroom. Content was ready for the deadline or it didn’t make it to air. Adequate and on time always beats perfectly late. That’s been a valuable lesson throughout my writing and business career. It’s understandable that you want the content you create or the tasks you complete for your business to be perfect. To sweat over every little detail. Change your mind a dozen times and then go back to how it was originally. Remember, your customers, your audience only see the finished results. They can only respond to what you publish, or create. And if it takes you forever to do it, they may lose interest and move on. You wouldn’t watch a blank TV screen would you? Or listen to static on the radio? Set your deadline, stick to it and publish. At the end of each shift in the newsroom, I would leave instructions in a handover note to the person on the next shift. Even if you’re not handing over to anyone else in your business, think about what you can do to set yourself up for a good start each day. At the end of each day at the writing desk, I write a to-do list for the next day’s activities. Plans may change, just like they do in the newsroom, but it’s always a good place to start. 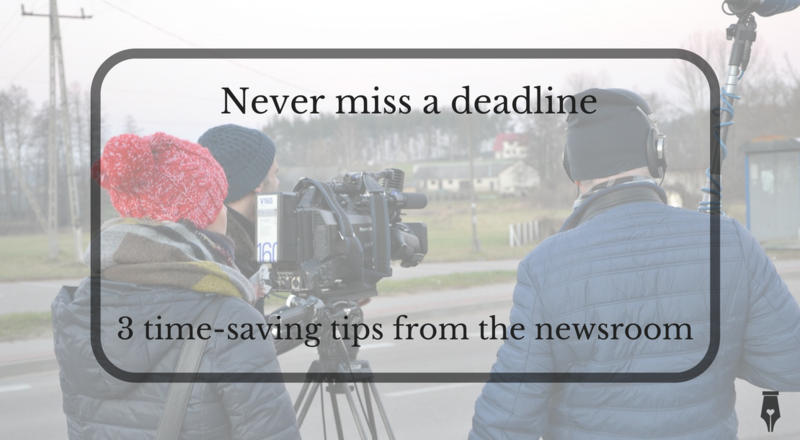 For more on how lessons for the newsroom can help you make decisions, work to deadlines and trust in your team, check out John Young Media. For more writing, marketing and time saving tips, sign up to my mailing list. 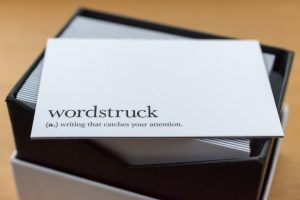 As part of developing my writing and training business with Wordstruck, I’ve been networking. But here’s the thing. I’m an introvert. I’ve done umpteen of those personality tests during my time working in corporate environments, and I’m always firmly in the introvert camp. And networking doesn’t come easy to an introvert. It sometimes surprises people that I’m an introvert. As a journalist, I presented news stories live on radio and television. I’ve fronted pitches for creative campaigns. 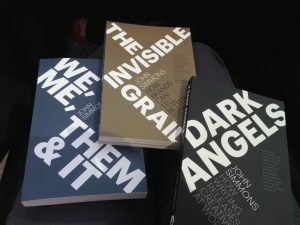 And, as my friends know, I’m not averse to a bit of showing off. But being an introvert doesn’t mean disliking people and wanting to retreat from the world completely. It just means that situations like crowds, with lots of people, noise and other distractions really drain my energy. Basically, I love a great gig, but going onto the after show party might be a step too far. I’d rather find a quiet corner to write down how amazing it was, or tell you all about it one to one. Networking can be a scary prospect for introverts. The thought of a room full of extroverts who are loud, full of energy and sell, sell, sell. Why would you want to be part of that? But this blog post by Denise of Digital Life Unlimited is a useful reminder of why it’s important to get out there and network person to person face to face. So, I thought I’d share how I’ve approached networking as an introvert. I’ve been to two network breakfasts run by the Mussel Club at Motel One in Newcastle. These are great events for me, because they’re early (when I’m feeling my sharpest) and they’re specifically designed for businesses who want to network. I was a bit daunted by going along to my first one, but I zipped up my courage, broke out my best smile on and trotted off with a pile of business cards. I hate being late for things anyway. But being early is a good tactic for introverts because it means the networking event isn’t noisy and crowded from the start. If the thought of ploughing into a room full of people all engaged in a conversation gives you the heebie-jeebies, plan to arrive a few minutes early. I was greeted by Matthew from the Mussel Club, who immediately put me at ease, showing me where I could leave my coat and get a drink and a pastry at the bar. He also started to ask questions, ‘What brought me there?’ ‘Had I been to one of these events before’. And before I knew it, I was networking. Networking events are designed for networking. It’s okay to go over to a stranger and say hello and ask what they do, or why they’re there. Everyone is there for the same purpose. When someone approaches you and asks one of those questions, it’s an invitation to say something about your business . If you’re particularly nervous about doing this, then have something in mind and practise it a few times. I’d just written my website, so was fairly confident about being able to talk about my writing and training services. One thing I did was to introduce myself as a writer, or to say something like: “When a business needs a website, or a brochure, or a blog post, or anything that tells their customers about what they do, I write the words for it.” Although my official job title used to be copywriter, it’s not a term that everyone recognises outside the world of marketing, so saying what I actually do is more helpful. It’s not about an elevator pitch or selling anything. It’s just telling people what you do. Don’t forget to ask them what they do too. You might find something in common. Introverts are generally good at listening. Unless we go into panic mode and blurt out our entire life history. At a networking event, you don’t have to be the one doing the talking. Smile, listen and chip in with a question or response. Meeting lots of new people can be a bit overwhelming for introverts, so take your time, and step back from conversations as they move on. You don’t want to be the wallflower, standing on the edges, not engaging with anyone; but finding an opportunity to have a drink, use the facilities or just take a breath or two can give you the confidence to keep on networking. Also watch out for anyone else who may be looking a little lost or unsure. Say hello and ask one of your conversation opening questions. Chances are, you’ll have found a fellow introvert and they’ll appreciate the gesture. It’s not a great idea to thrust a card in everyone’s hand and head for the door. Networking is about having conversations. At The Mussel Club events I’ve been to, I didn’t swap business cards with everyone I met, but if I felt we’d had a useful conversation, and if they offered theirs, I always asked and offered my details. 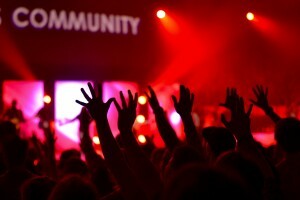 The events I’ve been to combined well-seasoned networkers as well as newbies like me. As soon as I got home, I started to get emails and connections to my social media profiles from some of the people I’d talked to. It’s a good idea to follow up after a networking event, even if it’s just to say ‘nice to meet you’. It helps remind people who you are and where you’ve met, potentially keeping you front of mind for recommendations or opportunities. It only takes one connection to put you on track for a new customer or future client. And even if the networking event doesn’t immediately bring in business, it can be a good way of building confidence. I’ve found it good practice to talk about my business to lots of other business people. I’ve met some friendly and professional business people at networking events, including the very lovely Clare of Talbot Jones Risk Solutions. Clare does a great job of writing content for their website, and articles for relevant publications, so they have no need of my writing skills. But we found something in common in our interest in charities and I’m benefitting from their advice on protecting my own business interests. 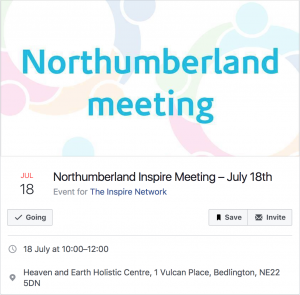 If you’re going to a networking event in the North East, let me know in the comments. If I can, I’ll do my best to say hello. 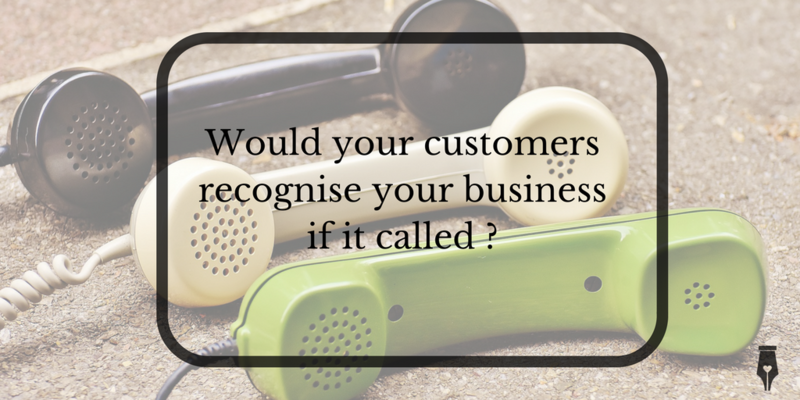 Who is the star of your business? 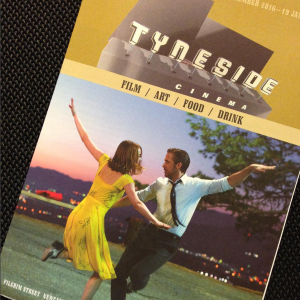 I went to see La La Land at the Tyneside cinema this week. And I loved it. It’s been a long time since I’ve seen a film that I felt so totally immersed in. For just over two hours, although physically present in a comfortable cinema seat, my heart and mind were miles away, dancing in the hills above Los Angeles, watching a love story with all its stops and starts, triumphs and mis-steps unfold. It made me beam and sigh and smile and yes, I cried a bit. Who is the star of your movie? Think of your business as a movie. Who is the star? You, or what you do? What makes it different from all the other movies out there? Does it have a better story? A bigger name? More awards? More dinosaurs? Or is it more like a quirky little art-house film that not every one will have heard about, but those who love it, love it fiercely. Like a movie, you have to get people to notice your business, to excite interest in what you do. Do you invest in marketing, logos, posters, billboards, social media campaigns to create a buzz? 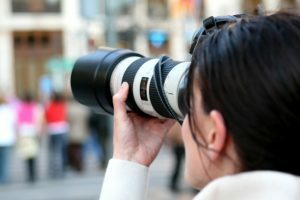 Do you connect with influencers, experts, bloggers to spread the word about what you do? While big stars, like Emma Stone or Ryan Gosling may be well out of your budget, getting endorsements, recommendations and referrals from your customers can be a great way to bring in more. What was the first thing I did, as I emerged from two hours in the Hollywood sunshine into the contrast of a chilly winter’s day in Newcastle? I told my friends via social media how much I loved the film. Now I’m sure La La Land is doing very nicely at the Box Office without my little endorsement. It’s certainly gathering up awards at a grand pace. But my post got a reaction. A bigger one than I expected actually. Some of my friends were excited to see the film. Others had already been and were less impressed. My off-the-cuff comment started a conversation, and I know at least one person said they were going to see it because of my reaction to it. Word of mouth. Recommendation. Being different. 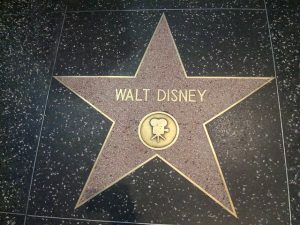 All things that can help your business dance its way to the walk of fame. If you have a great business with a story to tell, and need someone to write or polish the script, then please get in touch. As a copywriter, I write for many different businesses. Here are my top ten tips for improving your writing, whether you’re communicating for business or writing for pleasure. You may not use these words in your finished communication, but they can help you to get over the fear of the blank page. Ask the questions who, what, where, when, how and why? And answer them. These are the questions that have served me well through my years working at the BBC and then as a copywriter for big business. They will help you get the facts and structure your story. When it comes to writing clear communications, imagine you’re writing for a quality newspaper or news website. Don’t pack everything into the first sentence. Start with the most important piece of information, then add to it. Try to stick to one idea per sentence or paragraph. The best way to write something is just to write it. Banish your inner critic. No one gets to read your first draft anyway. No one cares if it’s spelt wrong or you missed an apostrophe at this stage. Just get on and do it. You can go back and refine things later. Choose the active, rather than the passive voice eg. ‘I am doing this’, rather than ‘this is being done’. It makes you sound more involved, interested and less shifty. It’s easy, particularly when you know your subject really well to get wrapped up in what you’ve written, to lose perspective. Take some time to away from it and come back with new eyes. It can be as little as a few minutes while you make a phone call, grab a coffee, whatever – but try to read it as though you’ve never seen it before. I’ve found it really helps to read things backwards, starting at the end and working back to the beginning. You may realise there’s a better place to start. Read through what you’ve written and look for places where you may have repeated yourself. Look for the businesses and doublespeak; the handy jargon and short cuts we might use everyday but that make little sense outside our own circle. Cut big, then cut small. Pruning also means you have to let some areas grow. Sometimes it might be better to take a couple of sentences to describe what something does instead of referring to what it’s called. So rather than telling me it’s a personal GPS system, you might want to describe it as a gadget that helps you pinpoint exactly where you are. Help your reader out by signalling where you’re going. 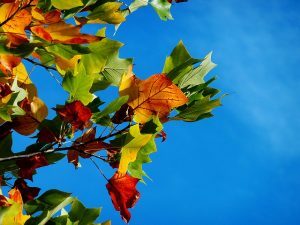 New paragraphs help single out thoughts. Bullets and lists are great for drawing attention to things – and they’re easy to read. Ideally you shouldn’t proofread your own copy, but in reality most of us have to. Use your spell check if it’s an electronic document (make sure you’ve chosen English dictionary), but remember it’s not infallible. Take the time to read it through again. Read it aloud. Start from the end. Turn the paper upside down. Read every word one by one. If you spot a mistake, look for the one next to it. Does your piece of writing do what you set out to do? Get a second opinion. Does your tester understand it? Did they encounter any mental speed bumps? Bits where they had to go back and read it again? Did they spot any errors? There are lots of tools that help you track digital communications these days, so you can see how well your email, website, or even social media is engaging with your customers. Is there a keyword or phrase that works well for you. what time of day are your customers most responsive. Take note of your analytics and look at areas where you could improve in future. I caught the new Ford TV advert this week. Not a bad idea I thought, but not as good as the Sound of Honda. Familiarity can be a good thing for a brand, but what happens when you start to see the same thing everywhere? Innocent is a brand that’s really established a strong identity through its tone of voice (which I have to admit I love). But now it has its imitators. Barclays seems to be trying to adopt a more ‘innocent style’ and fellow smoothie makers PJ’s are desperately trying to catch their cheeky, fun, irreverent tone (but not quite getting it IMHO).